If you wish to cancel an order you MUST DO SO IN WRITING and personally deliver, send or email this to the person named below. You may use this form if you want to, but you do not have to. Cancellation needs to be done within 14 calendar days of receipt of propeller. Propellers that we do not have in stock and are manufactured to your demand and measures cannot be exchanged if they are within general tolerances of the applicable engine/aircraft combination. If you have not tested or you simply do not like the "looks" we will not refund without deducting 20% of the value. In case you have tested and result is out of range we will be glad to modify or exchange the propeller, supposing that engine and aircraft otherwise are in good state. 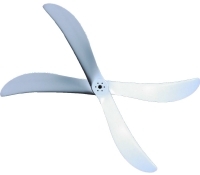 Propellers that are manufactured to your demand or differ from your design, to your pitch which might differ from what we recommend, are completely exempt from refund or exchange. We will, though, gladly modify to your liking in case you take care of all shipping.